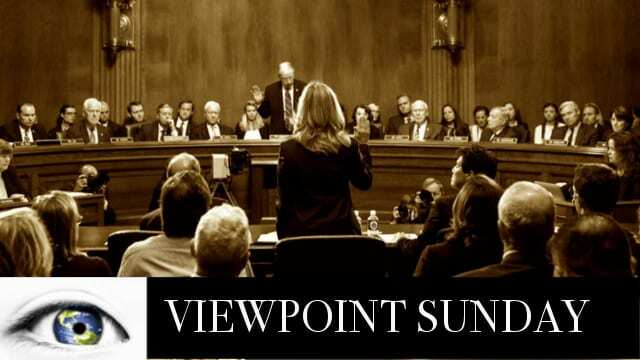 Viewpoint This Sunday – The Kavanaugh confirmation process has both riveted and polarized the nation. Today on Viewpoint we will take a more factual approach to the hearings and all the top stories of the week. Every Sunday 10 AM EST with an Encore Presentation at 6 PM on America Out Loud Talk Radio. Listen on-demand after 1 PM on Sunday on Podcast Networks Worldwide. Subscribe to Viewpoint on Apple Podcasts by clicking here. Look for our ONE YEAR ANNIVERSARY Program Special this October 28. Ilana Freedman and Dr Ron Martinelli provide the analysis and in-depth discussion on the top stories that you need to know. The Kavanaugh confirmation process would suggest that our divide has heightened to new levels and intensity as we move closer to the November midterm elections. Is it hypocrisy, denial, political posturing, all of the above, or the new normal? When you hear political activists proclaim “The Hill That We Die On” as their mantra, it clarifies the intensity of the moment! Where is this all coming from? Del Wilber and Stasyi Barth provide the analysis behind this ‘great divide’. Who’s Credible – Dr. Ford or Judge Kavanaugh?